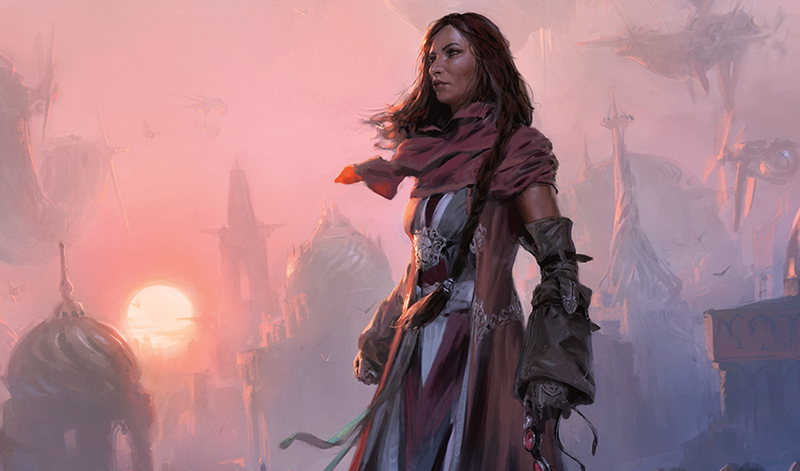 Chandra Nalaar first left her home plane of Kaladesh when her Planeswalker spark ignited, vaulting her from imminent doom at the hands of Lieutenant Baral to the fire monasteries of Regatha. Now she's returned to try to save a mysterious renegade from arrest, only to stumble upon someone she'd thought dead for years—her mother, Pia. "I killed your daughter today, Pia." A low voice floated in through a heavy veil of sleep and a splitting headache. She forced her eyelids open, but was met only by darkness. Stiff vocal cords crackled words through a dry throat. "What—?" "Just a little thing, that one." His words were oddly clipped and slow, his breathing heavy as furnace bellows. "Barely taller than my blade." The voice chuckled without humor—a low rumble that Pia could feel through the door between them. The darkness resolved itself slowly into blurs, then thick smears of light. Her stiff hands reached out and found the cool, curving surfaces of filigreed walls. Attempts to rise to her feet proved premature. "Of course I didn't forget you through all this...excitement. Here, I brought you this." CLANK. A piece of metal clattered to the floor somewhere in front of her. "Go on. A memento for what you missed," the voice said. She reached out a tentative hand to the object. A flat fragment, completely melted on one side and deeply etched on the other. Lightweight. Cold, and warming only slightly under the warmth of her touch, but with deep, precise carvings on the intact side. A titanium alloy prized for use in their renegade airship engines for its formability and heat resistance—though this piece was nothing more than slag on one side. "Do you recognize it?" the voice inquired too eagerly. As her eyes adjusted, she could make out some of the symbols, and traced the rest with her hands. A stamped swirl of motion beneath a pointed spire. Pia knew this symbol—it felt like yesterday that she and Kiran had come up with it as they left Ghirapur. A leaking spire, a symbol for the renegades, for the Ghirapur they wished they could come back to. But what was this piece? Her fingers danced over the engravings, scanning its surface. And stopped. Below the insignia, the letters "K.N.," scrawled in the messy but deliberate hand of a craftsman who had separated from his tools. She knew exactly what it was now—a piece of Kiran Nalaar's final project. Muscles between her ribs tightened, and a sudden rush of blood filled her chest with heat. Her hands went limp and dropped the insignia. "Oh look!" The voice beamed on the other side of the cell door. "Of course you do. "There's not much I'd care to recall about these things," the voice continued. "Though I do recall her gaze. Shifting around the crowd, unable to stare back at me. Cowardly. Defiant." "But then I realized," the voice went on with genuine enthusiasm, "she was looking for something. Or, someone perhaps?" Oh yes. She knew that voice. The voice of the man who had hunted her family: Captain Baral. "She was looking for you, Pia." The air in her chest heaved out of her in a peal of outrage, though for whom she couldn't tell. Her hands flew to the grating, grasping at Baral's silhouette though he stood easily outside of her reach. Shoulders and fists flew against the cell door. Baral stared back at her, his masked face impassive. "Am I the one who deserves your contempt?" he asked. "Wasn't it you who should have arrived to save her? To offer her some final comforting words?" Of course. Why wasn't I there? something demanded inside of her. He left without another word, as he would each time. As his footsteps faded, she was suddenly very, very alone. Her Kiran, her Chandra, the threads of all of their lives once so tightly bound now drifted inexorably away from her in time and space. Their world, once so large and full of life, was now this cell. Baral returned the next day, and the next. Soon a week had passed. The words had just become sounds to her now—recognizable though willed into meaninglessness. She steeled her nerves to speak to him for the first time. "Don't you have better things to do than to hound a grieving widow? I have nothing left for you to take. You've won—can't you leave me alone?" "Nalaar, our city has always defined itself through its progress. We all make sacrifices to put its welfare above our own." Baral said. "All of us," he continued with a sharp edge entering his voice, "except the selfish few, who dare to put their interests above the city. It...pleases me to bring your kind to justice. To make you regret every shred of that fatuous defiance." Pia raised her chin to him with a cold, pitying smile. "Then you've proven me wrong, Lieutenant. I do have something left, and it will never be yours." He laughed, though there was a shrillness there that had not been there before, and departed down the corridor of cell doors. It was nearly another week before he returned again. 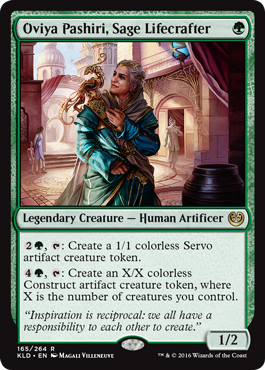 "She was looking for you, Pia," Baral said, as he had so many times now. Pia responded slowly, refusing to return his gaze. "And I'll return for her, for all those out there, so they know what you've done. For you, Lieutenant." 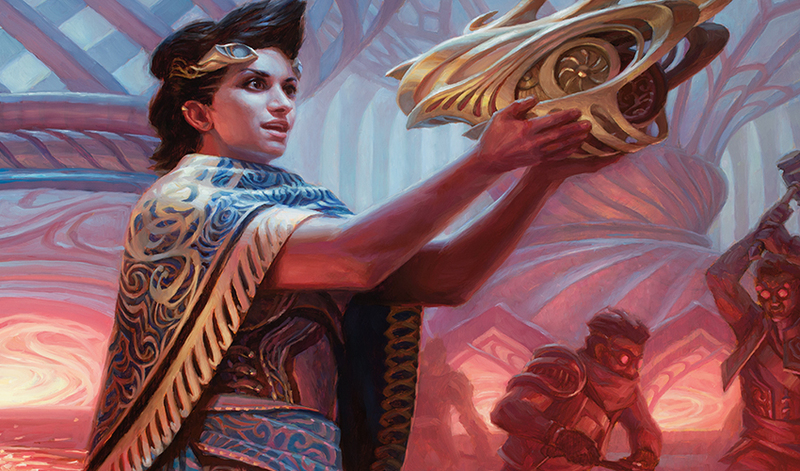 Her hands were strong and steady now, strong enough to hurl the tiny filigreed aether lamp from her cell with alarming speed and accuracy straight through the cell grating toward Baral's face. He raised an elbow with an instinctive grunt as the lamp hit his face and dislodged his mask with a clanging reverberation. A brilliant blue glow flared to life and encircling his body, filling the Dhund's hallway with light. It disappeared mere seconds after it formed, leaving a series of dancing spots in Pia's vision. It was far too bright and volatile to be any form of aether. No—it was something else entirely. "You're...a mage?" Pia gasped. Her own daughter's pyromancy aside, she'd never known another mage. Magic and magic users were not just scarce, they were regulated and watched more closely than aether itself. A long, low hiss emanated from the other side of the door. It was a sound so much smaller, so much more human than it had been inside of that mask. Pia rushed forward to the cell grating and peered out. 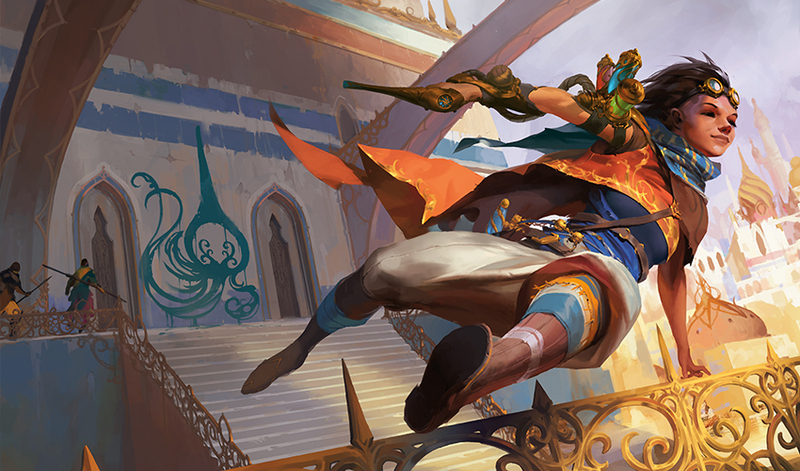 Baral's unmasked gaze snapped upward and their eyes met. Beneath the mask a mass of thick scar tissue wound its way across his features, parts of it still raw and red. The strong, some might even say "handsome" lines of his had face scattered and melted away. Baral paused as he reattached the clasps of his mask. "Fate is rarely fair, Nalaar." She watched the tensed, distorted muscles of his face labor through the words with reluctant fascination. "The materials that shape what we become are fixed the moment we are brought into this world. The fortunate of us will be born heroes. But there are a number of us who will be born malformed—dangerous aberrations to the course of nature. Perhaps they might even look and act like the rest that can threaten us from the shadows." Mask secured, he carefully draped his hood over his head. "Myself, I accept my nature—I'll not hide or let others hide from the sentences they've been given. This is my destiny, to root out these hidden dangers, expose them, and bring them to justice." Any traces of concern melted away. "Destined to wrestle with your own demons by hunting down children?" "Children?" He barked out a humorless laugh. "Of course. Who better to misuse their abilities for selfish or misguided purposes. Besides, the years make little change to natural criminal dispositions, as you yourself evidence." His voice became quiet, and he leaned in toward the grating in an accusatory whisper. "You asked what happened. Your child. Your child happened, Nalaar. This—" he pressed his masked face to the grating and dragged his fingers over the sides of the mask, "this is the work of your child." Pia leaned in as close as she could to the grating. "A mother couldn't be prouder." Years later and far from the Dhund, Pia Nalaar opened her eyes and blinked in the sunlight as she wiped her goggles clean on the back of a well-worn glove. 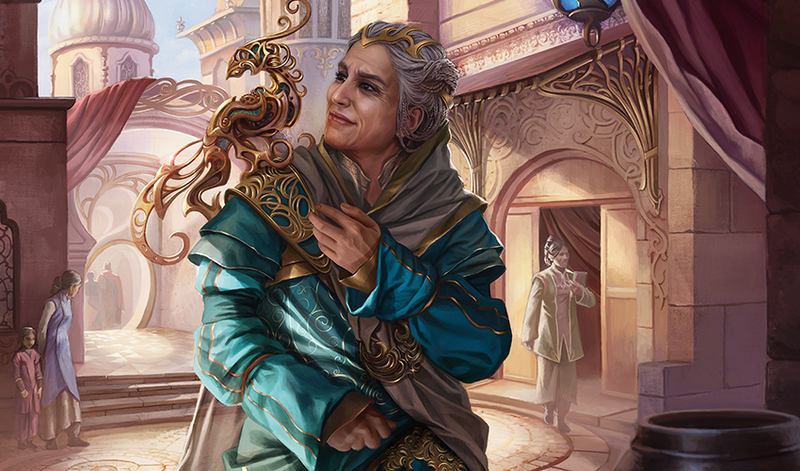 Those years had flown by as Pia had rallied a growing contingent of inventors, tinkers, artists—citizens from all over Kaladesh—devoted to uncovering and protesting the Consulate's increasingly tight grip over the city and its vital aether. "Renegades," as the Consulate called them, born from a headstrong passion to defend and celebrate the spirit of the home they had built together. A select group of these renegades had gathered today on one of the district's many ornate, swirling rooftops high above the ground. Below them, the city was a living, moving thing, full of scintillating streams of motion formed by the shining brass of the constructs hurrying below. Banners and announcers loudly trumpeted the Inventors' Fair below, whose exhibits sprawled over the plaza in a dazzling array of shapes and colors. And in a matter of minutes, the renegades too would unveil their own unauthorized exhibit in the fairgrounds. A loud POP and the acrid smell of smoke caught her attention. Pia glanced over her shoulder just in time to see the young inventor's apprentice Tamni yelp and nearly lose her balance on the roof's ledge. Pia grabbed Tamni's arm to steady her and glanced down—the apprentice's nearly finished thopter was consumed in orange flames, the brass sagging and warping. Pia swiftly covered the flames with her glove and tossed it to the far corner of the ledge to cool. "Nothing more than a little fire. Anything I can help with?" she asked Tamni with a raised eyebrow. Tamni hastily unfurled blueprints and fumbled with an array of measurement tools laid out in front of her. "Everything's all in the right place, isn't it? I checked everything earlier, I promise! I know we're running out of time...but I can do this!" She bit down on her lower lip while frantically scanning the diagram. Slag, she's right—It's almost time! Pia said to herself. But she shook the thought away and put a reassuring arm around Tamni. "It's fine—they asked you to be here. I'm sure you've done this a hundred times before!" "...I, uh, you don't really mean a hundred right? I mean I can figure it out..."
Pia stared blankly at her. "I'm sure I can! I mean, I was sure?" Tamni shuffled her feet, embarrassed. "I might've...exaggerated my experience to get here." Pia mentally applied the palm of her hand to her forehead. "...I heard Renegade Prime was leading this! I had to see!" Pia could hear the others around them shift impatiently. She flashed them a confident smile and waved her signal—we'll get through this, just give us a moment. Pia raised Tamni's chin and channeled the memory of her father's best steely parental glare. "You'll be fine, but we'll need to be fast. Remember what we've learned before—a quicksmith's creations cannot tell us what's wrong unless we pay attention to them. "These tools," she pointed at the aetherometer, pressure gauges, periodicity vanes, "give us just once piece of what we need to know. "These tools," she touched Tamni's hands, "know many different parts of the machine from experience and intuition. They sense pressure, heat, movement, size, all at once. Go ahead, give it some power." Tamni nervously applied some aether to the machine—the side propellers spun to life, but the back rotor remained still. "Listen. What do you hear?" Pia said. The sound of the rotor was a familiar high-pitched whine and regular clicking of gears. Tamni pressed her ear to its filigreed side. Beneath the normal rhythms, an unfamiliar bass tone lurked in the background. "Something's off in there, rotating out of sync." Tamni laid her palm against the back vent. Something tapped back slowly, out of sync with the rest of the vibrations. A stray aether tube had jammed itself in the gearbox and broken, leaking volatile aether out of the machine that had caused the rotors to overheat. "Now when we reform the metal," she encouraged Tamni, "we must pay close attention to its motions; the filigree formed by blooming aether onto metal is a complex and slightly volatile reaction." Pia opened the valve on her aether glove and guided Tamni's hand with her own. "But you'll learn its patterns even if you don't understand it completely," Pia told her. "Listen to its movements and bend to it as it bends to you. Things will not always be as you want or need them to be, but we must continue to shape them as best we can, and they will reveal their best forms to us." Tamni bobbed her head eagerly. "Of course, yeah—I wish they'd taught us this stuff at the workshop!" Those are hard-earned lessons taught by time, Pia thought to herself wryly. The dull, oxidized metal curled and writhed around the bright glow of aether. It split into a network of glowing blue tendrils, pulsing like a living thing, revealing a bright new surface as it cooled. Tamni watched a piece of the brass curve inward on itself, and a halting sweep of her aether torch led it into its correct place. The rotor whirred to life, lifting the tiny new thopter off the ground on freshly formed wings. The young inventor let out a long sigh. Almost done, now it was Pia's turn. Goggles down, aether valve opened, the cool tingle of aether entered the tips of Pia's quicksmithing glove. From the other side of the roof, a brass cylinder was tossed her way and landed with a satisfying thump in her glove. A salvaged engine cylinder—this would do just fine. Her deft hands flew over its surface with gentle pressure as the aether slowly released from her gloved fingertips, the brass wrapping hungrily around the exuded aether in intricate geometric shapes. The movements of the metal were rapid and unpredictable as the aether curled around it. Pia's mind raced, her designs changing and adjusting by the second to the wild motions of the aether. Soon she had formed a center cavity, encasing a vial of aether that would power multiple rotors, then diaphanous filigree wings and fins for navigation, and finally appendages that could clutch its payload. As she completed her construction, it began to inflate and solidify from within like the wings of an insect after emerging from its chrysalis. 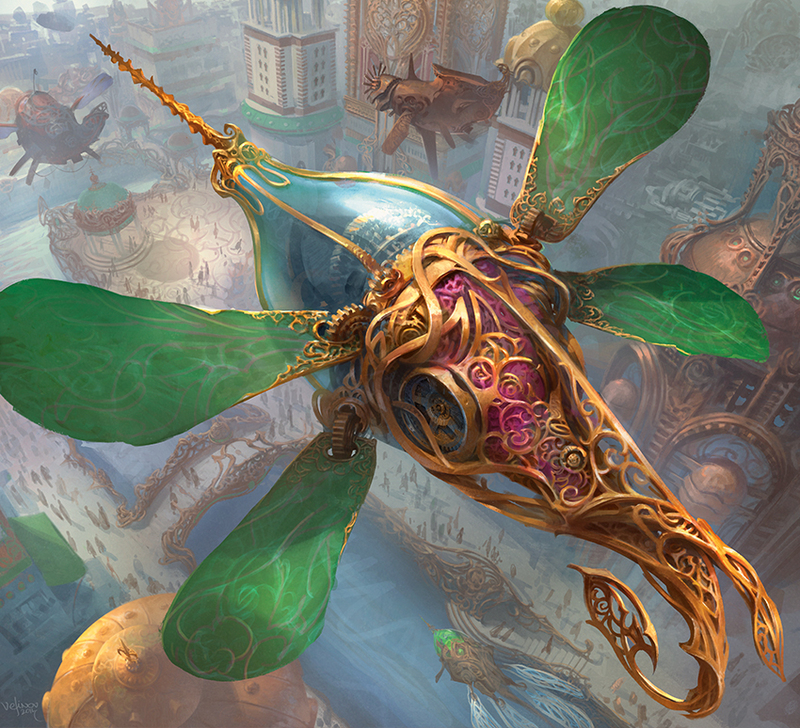 Soon the air vibrated with the furious hum of a new thopter's wingbeats. A city clock chimed the time below them, and the spired roofs around her soundlessly rotated into their new positions to optimally accommodate the late afternoon's foot traffic. A heavy, callused hand clamped down on her arm. Pia turned to see a heavily built older man in the brightly polished brass and gold uniform of a Consulate lieutenant. Or at least, what passed for one at first glance. "Venkat!" she exclaimed, planting a fist into his right shoulder. "For the—you can't go around creeping up behind people when you're in that!" "Means that the uniform works though, wouldn't you say?" Venkat said, not bothering to suppress an impish grin as he tried to shake the numbness out of his arm. Once a high-ranking commander of the Consulate guard forces, his dissent against tightening regulations on those citizens in the Weldfast he was charged to protect had pushed his obedience to the breaking point. He appeared unexpectedly at the doorstep of Pia's workshop nearly a year ago—a location that he'd kept hidden over his many years of Consulate service. "Besides, I'm just one of many wise enough to place their trust in you," Venkat added, tilting his head towards the gathered crowd on the roof. "And my trust in scoundrels like you," Pia said with a smile. A swell of pride swept through her as she surveyed the familiar faces in the crowd—like her, they were respected artisans, visionaries, creators. For all the world it could have been a midday afternoon spent talking around the workshop's tables, the air full of conversation and the smell of brewing tea. They'd shared the weight of the Consulate's tightening restrictions together, pooling together their dwindling supplies of vital Consulate aether that kept the bustling workshops, kitchens, and infirmaries of their district humming. The renegades raised their hands to her in the ready signal—it was time. "My friends and neighbors!" Pia called out to them. "Today we're here with a purpose—to speak up about what we've seen and to seek answers for what's been done." The faces ahead of her nodded solemnly. Though they had all carried the burden of scarce aether, they shared the outrage for "what's been done" to Pia and her family. "Today is a day of celebration for many," she said, sweeping a hand across the cityscape below. "Since it was created, the Inventors' Fair has always put our city's innovative spirit at the forefront. But for many of us, this year's celebration has become something very different. We found the Fair full of more and more pet Consulate projects in aether routing, security...weaponry!" Growls bubbled up from the crowd, and fists were raised. "And at the same time, we found ourselves targeted by the very government that has sworn to protect us!" Nodding heads stared back at her from the crowd. "They've bounded off the skies themselves to prevent you, Nadya and Kari, from gathering our own aether!" The two aerowrights locked eyes with each other and raised their fists together in unison. "And what about the Maulfists' foundry? The Consulate took their aether and the foundry now lies powerless and vacant!" Three heavily outfitted renegades raised their hammers to Pia. "Viprikti, your family was forced to leave your home when aether was removed from entire city blocks of the Weldfast!" A rangy older man pulled his goggles down over his eyes solemnly. "The missions of our leaders have turned away from assisting citizens and toward sustaining their own interests. But now, my friends, my renegades, we deliver our response. You've all generously given your contributions to make this possible, and I'm proud to present it to the rest of the city. Let us be as proud, unafraid, unyielding as those who believe they can extinguish our spirits!" Pia swiped her hand downward, and four goggled renegades signaled back. Crouching over the filigree ledge, they hurled their thopters down into the plaza below. The machines dove through the air to opposite ends of the plaza, nearly a hundred in number. They lined themselves up into a massive column of glittering metal over the tents of the fairgrounds that rivaled the height of the city's tallest buildings. A musical hum of mechanical wings filled the air, and the faces in the tents below snapped upward to the sight. Fairgoers grinned and pointed at the spectacle, while Consulate automata and human guards poured into the street. As the metal of the thopters heated, their colors changed through yellows to greens to rich purples and blues, an orchestration of color and shape like a mechanical aurora. They spiraled around one another and reformed their column into a tapered cone over a swirled line—the leaking spire. Inventors and citizens alike in the crowd cheered their approval—a stunning display worthy even of notice by the judges. The thopters began to gently descend toward the ground, like stage actors taking a final bow. Beneath them, scores of Consulate automatons gathered, hands outstretched. From the rooftop above, Tamni gripped the edge of the railing with white knuckles. "All part of the plan," Pia reassured her, putting a hand on her shoulder and flashing a smile at Venkat. Hovering just over the automatons, the mass of thopters emanated a bright blue flare as they released their aether in a long pulse. The sudden rush of energy flooded into the identical automata, creating sparks of concentrated aether. They fell together in ringed rows, like so many dominoes. "Perils of mass production..." Venkat whispered to Pia with a grin. A lively, impersonal voice resounded through the loudspeakers below: "Good afternoon, citizens! This is a routine test of the emergency notification system. This level of the fairgrounds is now officially closed. All foot traffic and trains will be rerouted from this area as we conduct our maintenance. We thank you for your attendance and we hope you've enjoyed your time here today!" Pia nodded at her rooftop companions. "You should have more than enough time to return to the Weldfast before the guards return. Stay safe, and if any trouble occurs, use your distress signal and Venkat will be here to help you." The others grinned and nodded back at her, exchanging embraces and congratulations as they departed. They scampered down the sides of the tower, though not before leaving their mark. Pia swung down from the rooftop onto a window ledge, her nimble artisan's hands easily finding handholds in the ornate walls. With a flying leap, she cleared the ledge from one building to the next before clambering down a garden trellis and into the streets below. Something wild and reckless coursed through her blood as she dashed through the city, green sashes and gray-streaked hair streaming behind her. In the shadows of the tall spires across the plaza, a tall cloaked man suddenly began weaving swiftly through the crowd, with two others following close behind. The soft soles of Pia's boots carried her noiselessly over the pavement as she reached the steps of the Aether Hub at the edge of the Weldfast. Here she would have no problems disappearing into the neighborhood's many side streets and the tall, winding sculptures that decorated its public spaces. Her face split into a proud grin. From behind her, a heavy hand clamped down on her arm. Even through her sleeve, it seemed to emanate an icy chill that pulled the warmth from her skin. "Venkat, please, I asked you—"
She turned to see not Venkat, but a tall, cloaked man whose orange face markings identified him as the Fair's Head Judge. The hand that gripped her arm was a massive claw of dark metal that even she didn't recognize as it disappeared into the man's sleeve. Flanked by two Consulate automatons, his ornate armor echoed their patterns and colors: bright, polished Consulate gold and brass. Beside him, the stately vedalken Minister of Inspections himself, Dovin Baan. And an elf, tall and green-eyed, looking from one side to the other in utter confusion. "I've found you at last, Renegade Prime," the cloaked man said, aiming his metal hand at her as if he were pointing a weapon. "Do you think your little spectacle is going to matter to my Fair?" His Fair?! Pia seethed. This is our city! "We'll stop you, Head Judge. If not today, one day soon," she fired back at him. A pale woman clad in dark flowing silks and a glinting golden headpiece appeared opposite the Head Judge. "—Tezzeret," she hissed. His head snapped up. Teeth appeared. "Vess," he returned, low and smoldering with anger. A tide of memories washed over Pia. "...Mom?" A voice, tiny and frail, and not at all like herself. An ember swelled in the corner of her eye, was caught by the wind, and twirled away. A prison cell. A fallen mask. A melted metal insignia. A humorless rumble of laughter. Pia shook her head, as if to dislodge the memories from her mind. She could leave now. Make a run for it and disappear into the familiar streets. What if they brought her back through whatever hell she'd seen in the arena, with that man who had gladly torn both of their lives apart? 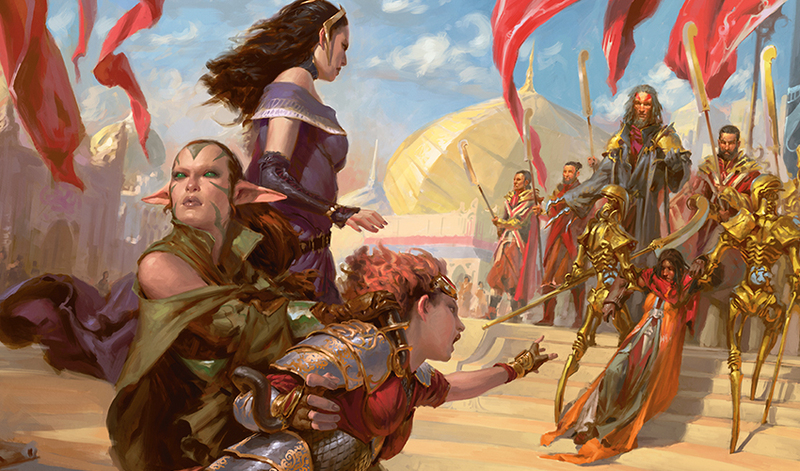 Consulate soldiers materialized between them, forming a wall of flesh and metal with Pia, Dovin, and Tezzeret on one side and the pale woman, the elf, and Chandra on the other. Chandra plowed into the wall of armored soldiers, yelling something that Pia couldn't quite make out over the din of metallic footfalls. Her daughter offhandedly sidestepped an oncoming swipe from a filigree automaton, and inundated a crowd of the machines with a generous bath of flames. The heat washed over Pia's face like a breaking wave. A veil of a fierce maternal pride blurred the scene. She wiped heat-stung eyes. "The pyromancer," Baan frowned, his voice clipped and precise. He pointed a long, slim finger at the contingent of guards at his side, "Take care of this, if you please. Isolate and contain. Gearhulks in the front line—I will see no injuries on my watch. Be mindful, she is rash." No! Pia screamed from the confines of her mind at Chandra. Get back! Don't let them take you again. Please! Chandra bellowed a familiar obscenity and threw a punch that blasted a gearhulk back in flames. "Ah yes." Baan cocked his head to the side. "She is also fond of...creative anatomical descriptions." Pia's jaw dropped. Had she overheard Kiran saying that...? A line of heavily armed guards broke away from Dovin's side and began to close in around the oncoming Chandra as she pushed further into their midst. Several of them toppled, feet tangled in a hissing whirl of flowered vines that seemed to have appeared from nowhere in particular. She had to act now. Pia tore her eyes away from Chandra and turned to face Tezzeret, eyes blazing. "My name is Pia Nalaar, leader of the renegades. I'm prepared to enter Consulate custody." Dovin arched a smooth, hairless brow, and a wave of surprised murmurs arose from the group of soldiers. "Indeed?" he said. Was this the fearsome Renegade Prime that they had prepared for? "You will, I trust, excuse a need to take precautions appropriate for a prisoner of your...reputation." 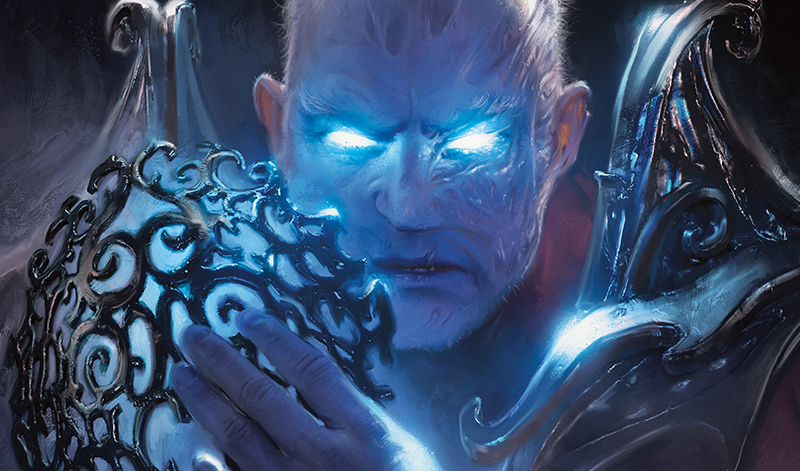 Unfazed, Tezzeret gestured the Consulate soldiers forward, his face lit with a feral grin that somehow never reached his calculating eyes. "Of course. Do show the criminal to her new residence," he said, flicking a hand in Pia's direction. Hands took either of her wrists, and filigree manacles clamped down on each. "Maximum security?" Baan asked, hopefully. "Whatever you see fit," Tezzeret said impatiently. "Now, as for the others..."
"Pia Nalaar," intoned one soldier, "you are hereby placed under the authority of the Consulate for the following crimes: defamation of government property, leading a conspiracy against the government, disturbing the peace, disorderly conduct, violation of the Aether Distribution Act—"
Chandra's yells drew still nearer—soon she'd be in surrounded by the growing ranks of soldiers. She had to stop her advance somehow. "You forgot assault!" Pia said with a swift side kick to the gut of the soldier next to her. "And the Aether Act was an appalling sham!" she added, bashing her manacled hands like a hammer against another soldier. Immediately the hands on her arms tightened like vises and began to pull her away. Through the wall of soldiers, Pia heard the pale woman shout to Chandra: "They have her! You can't risk it now; we have to go!" Pia let herself go limp as she watched the spires of the Weldfast, the renegades that had become her new family, and the daughter she had thought she'd lost all disappear from view. Retreat was never Liliana's favorite option. They had lost the mass of Consulate guards in the crowded streets, and found themselves almost alone on one of Ghirapur's side streets. Here there were only a few curio sellers and an older woman dressed in vibrant green-blue robes patiently browsing their wares. The chaos of the scuffle had been smoothed over like water. Chandra sat at the foot of a flight of dusty apartment stairs, clutching her knees to her chest, face buried in the old shawl she often wore around her waist. Silent. Liliana hadn't seen her silent for this long in some time—usually it meant she was asleep. Nissa stood at a distance she probably felt respectful, saying nothing, slender fingers massaging her tattooed forehead. Liliana paced beside the two, nerves strung tighter than a hangman's noose. "That man with the metal arm—I know that man. He's—"
Searing memory flashed behind her eyes. Jace, his back stitched with ugly white scars from a manablade. Wincing in the dark as she traced fingers across them, eyes burning. She jumped as her own jeweled rings clattered together, a discordance of metal. "He's...dangerous," she muttered, forcing her fists to uncurl. "His presence here is—it can't be coincidence." Nissa turned her gaze to the necromancer, green eyes brimming with cold accusation. "Why did you leave without letting us know? To put yourselves in danger like that—you're fortunate I found you!" Liliana's lips curled as she flicked a wrist dismissively in Nissa's direction. "Tezzeret is more threat than you could know." She raised her eyes imperiously to meet Nissa's. "And watch your tone—I'm not one to ask permission or forgiveness." Nissa's eyes narrowed, traces of green fire appearing at the ends of her staff. This was not lost on Liliana, who immediately smoothed her face into a mask of disaffected nonchalance. "Why are you even here?" Liliana swiveled a wrist in the hot afternoon air, the gesturing encompassing the entire glittering plane of Kaladesh. "Did the rest of you take a vote while we were gone? 'Gatewatch rule number whatever, no going home without written permission'?" She glanced over at the pyromancer expectantly, but Chandra gave no sign she'd even heard. Nissa had. "Have you been provoking her this whole time?" she said, aghast. "I thought you—is this what you consider friendship? You...monster. I hope this pleases you!" The elf drew herself up to her full height in front of Liliana and slammed the end of her staff into the cobblestone, unaware of the traces of green fire appearing at its ends. It had been centuries since someone had used that tone with her—often it was the last thing they did. But Liliana had plans, plans that needed powerful allies. Instead, she had somehow found herself staring down an angry, interdimensional-monster-killing elf and what had been a delightful walking powder keg that had defused itself into a heap of despondence. The necromancer shrugged into Nissa's accusatory stare. "We're all women here. Chandra can do as she pleases." The words bubbled up in her mind. Exactly what to say to cut the deepest. "She ran from you," she whispered up at the elf. "You didn't follow—so she came to me." The red of Nissa's cheeks stood out starkly against her green tattoos. Her lips parted, but nothing came out. She'd always had a knack. "If that's all you have to say, I've important questions to attend to." Liliana turned on her heel from the two with an impeccable toss of her hair, leaving the scent of lavender and the whirl of skirts in her wake. From her place on the steps, Chandra lifted her head and tried to wipe her face with the back of a gauntlet. Her hands clenched and unclenched into fists as she stood up. "I-I wanted to stay..." Chandra said as she lifted her face from the shawl. 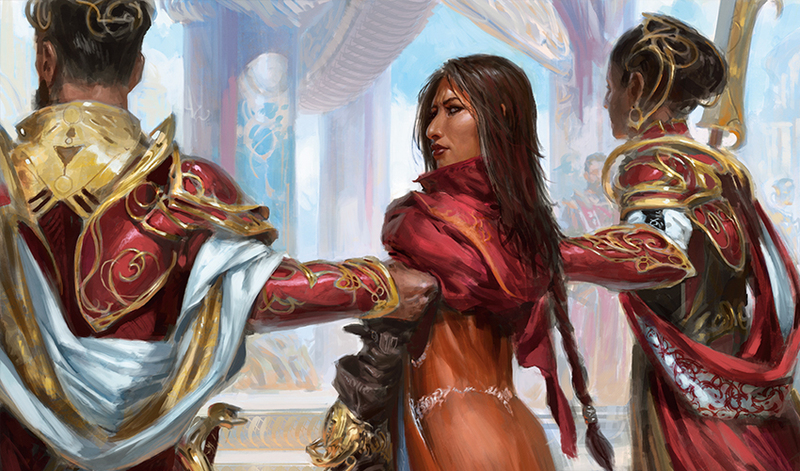 Nissa offered her a hand, but Chandra tottered to her feet on her own. "I'm going for a walk," she mumbled to the ground and stumbled toward the street vendors. Nissa hurried after her. The robed woman at the vendor stall completed her purchase, then placed a comforting hand on Chandra's armored shoulder. "Seems you've had a hard day, my dear," she said softly, beaming an inviting smile at the two Planeswalkers. Chandra bobbed her head at her and sniffled loudly. She managed a wan smile and squeezed the woman's hand back. There was something comforting and familiar to her face. The robed woman pulled an elaborately embroidered handkerchief from around her pockets and pressed it into the pyromancer's hands. Chandra buried her face into it, wiping away tears. It smelled of rose tea with a hint of machine oil...like...home. "Oh, that's it now, dry your tears..." the older woman said, lowering her voice as Chandra finished dabbing her eyes and blowing her nose into the handkerchief. "We need you to be strong," she continued, her voice suddenly turned steely and clear, "when we find your mother and take her back from those Consulate soldiers, Chandra." Chandra looked up into a face that she now recognized. "Mrs. Pashiri?" "It's been a while since I've seen you last, child," Oviya Pashiri said as she smoothed the wild strands of hair from Chandra's forehead and leaned the pyromancer against her shoulder. Together, the three made their way down Ghirapur's winding streets, deep into the secret walkways that Mrs. Pashiri knew best.